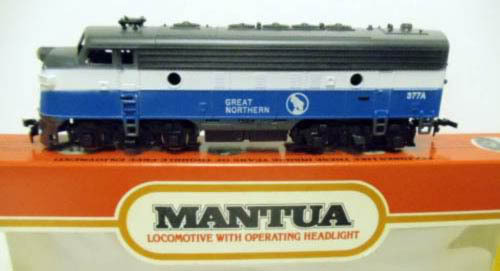 The return of the Mantua name came in the late 1970s and the company’s original diesel locomotive roster included a version of the F-unit introduced in the spring of 1960. 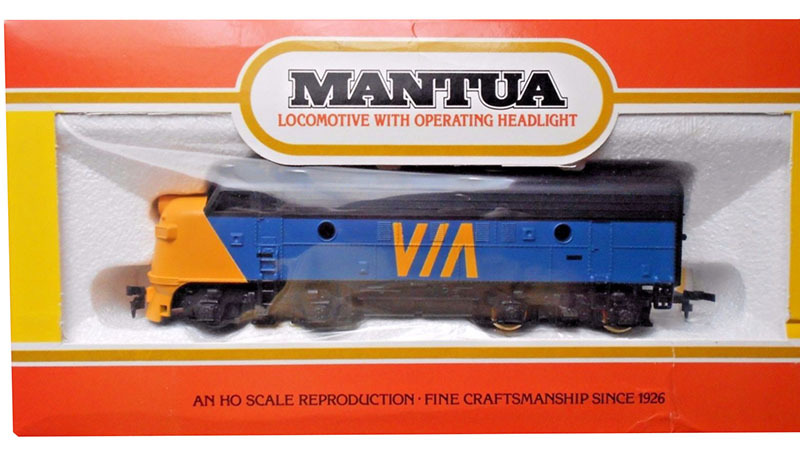 Since its inception, that model sold labeled as an F9A; though it was in fact an F7. 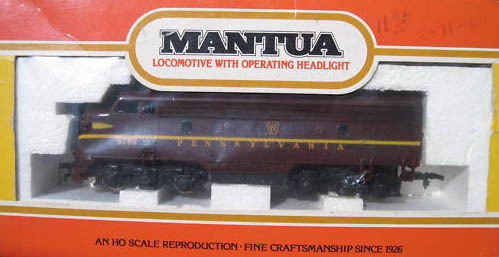 Mantua labels its model as an F7 and A-units in powered ready-to-run release made up the original production. The tooling used the then-recently introduced revised F7 shell with Farr-type radiator grilles that was also current with TYCO’s line in the late 1970s. 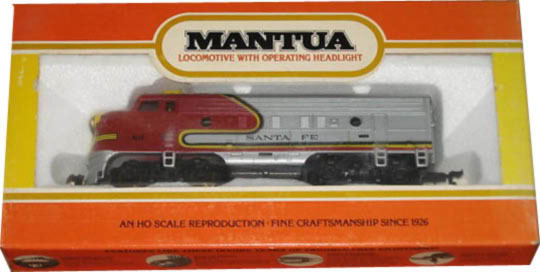 Mantua’s F7As from 1978 came with a self-contained 5-pole power truck. 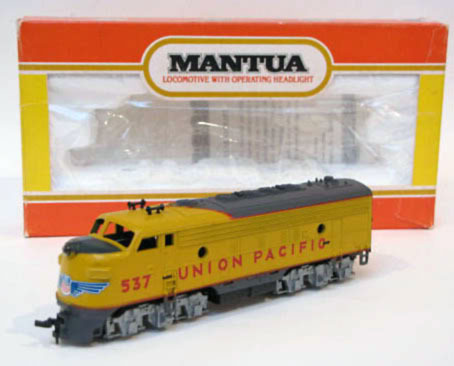 In assembling a collection of Mantua HO-scale F7A diesels, you must take care in identifying the models accurately. 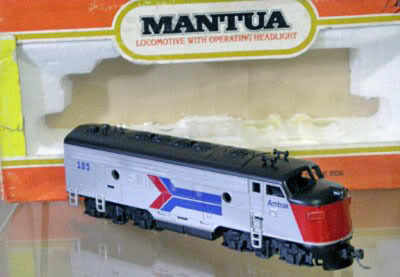 Road names offered beginning back in 1960 under TYCO’s name frequently saw inclusion by Mantua beginning in 1978. 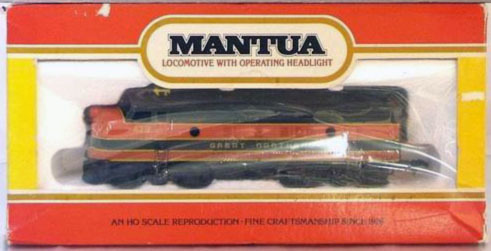 Further complicating the situation, Mantua made revisions and enhancements to its F-units during the 1980s and 1990s that see revisions for both shell and drive mechanism. 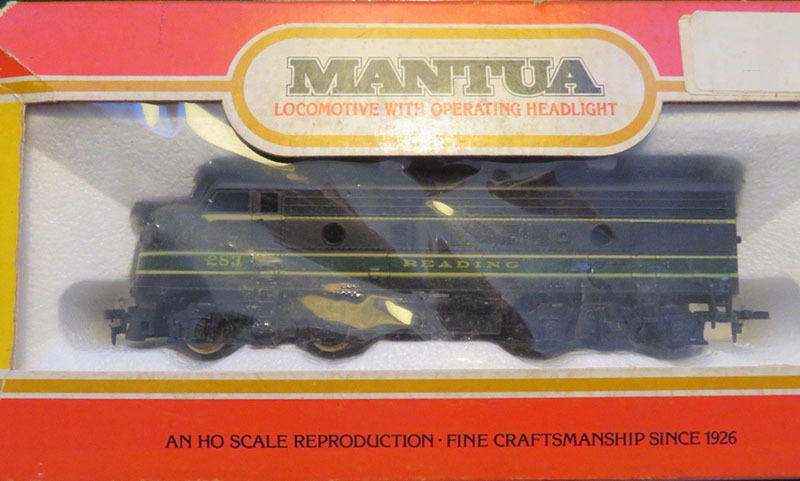 Some road names included in the late 1970s and early 1980s returned from Mantua with new offerings that included different stock numbers and changes to the appearance of the model. 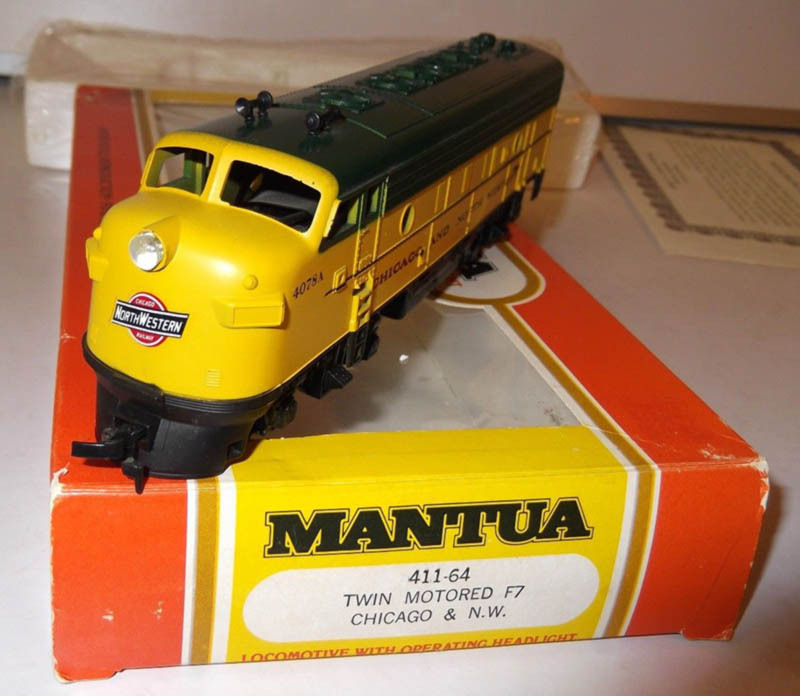 Collectors should note the earliest of Mantua F7s received “402” stock numbering. 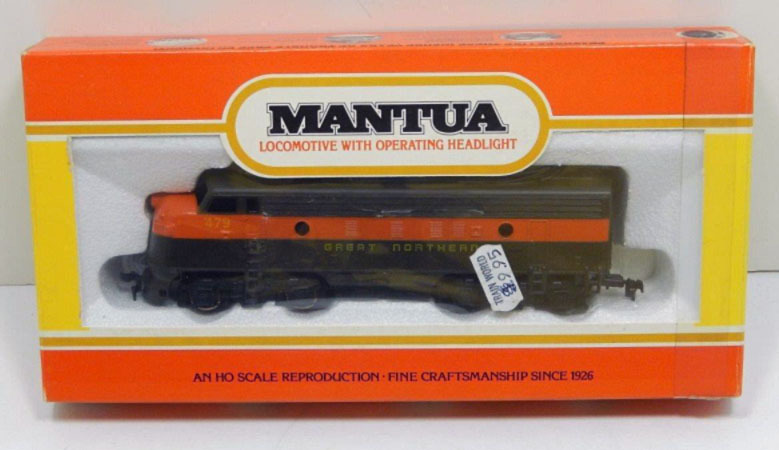 Mantua’s 1982 price listing shows 14 F7 road names that carried a $24.00 suggested list price. 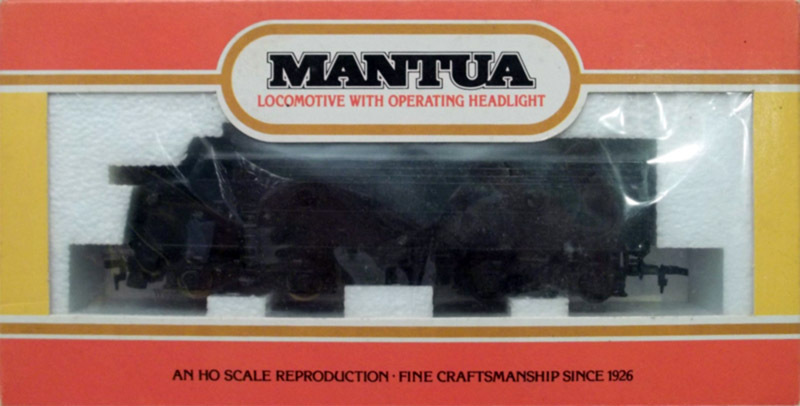 That same listing introduces the first known revision for “new” Mantua F7s, which is a Twin-Motored F7. 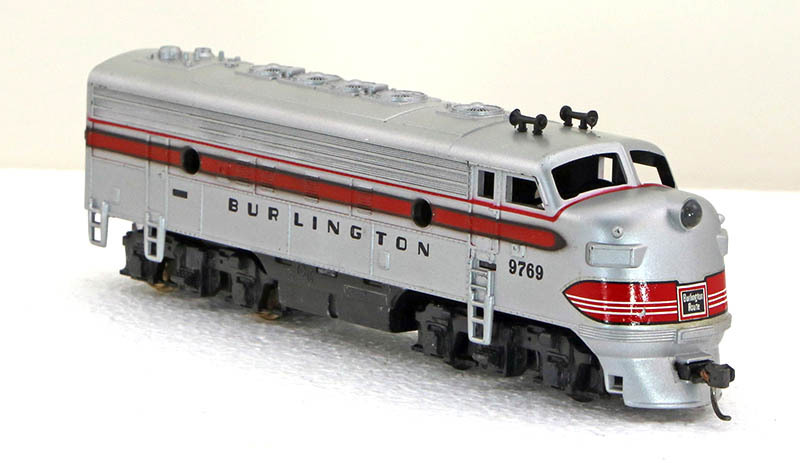 Retailing for $35.00, this F7 included two power trucks and seven previously offered road names made up the group of Twin-Motored F7s: Amtrak, Chicago & North Western, Great Northern (Simplified “Empire Builder” scheme), The Milwaukee Road, New York Central, Santa Fe, and VIA Canadian National. 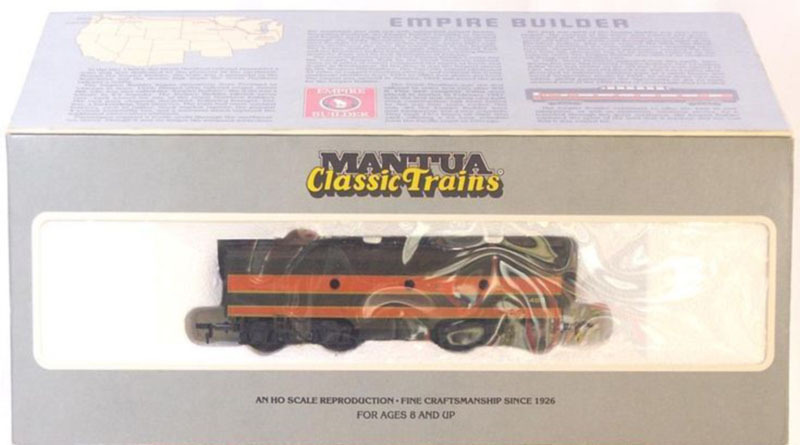 In 1985, Mantua introduces “Classic Trains”-series F7s. 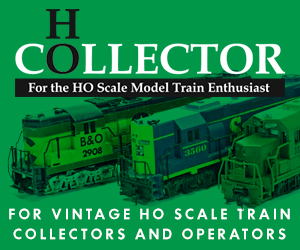 These models came is large oversize packaging with elaborate artwork. 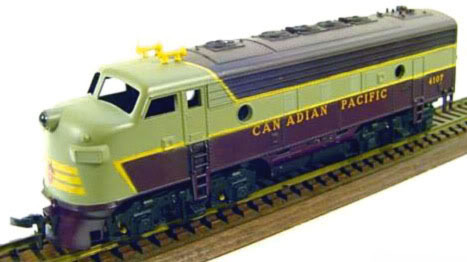 The Classic Trains offerings included Twin-Motored F7As listing for $41.00 each and non-powered F7Bs carrying $18 pricing. 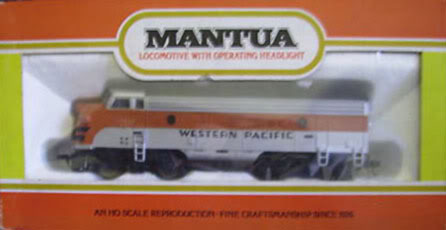 The 1990s saw a die-cast metal frame produced for the F7A, which lead to revision in the shell tooling that saw the open slots on the sides of the body that trucks formerly snapped into be filled in as the frame didn’t attached in this method. This change included a front pilot revision. The new coupler came attached to the lead truck and the pilot opening was enlarge to allow the coupler to swing freely.